Contemporary Le Acque Floor Mount Vanity in Ash Walnut. 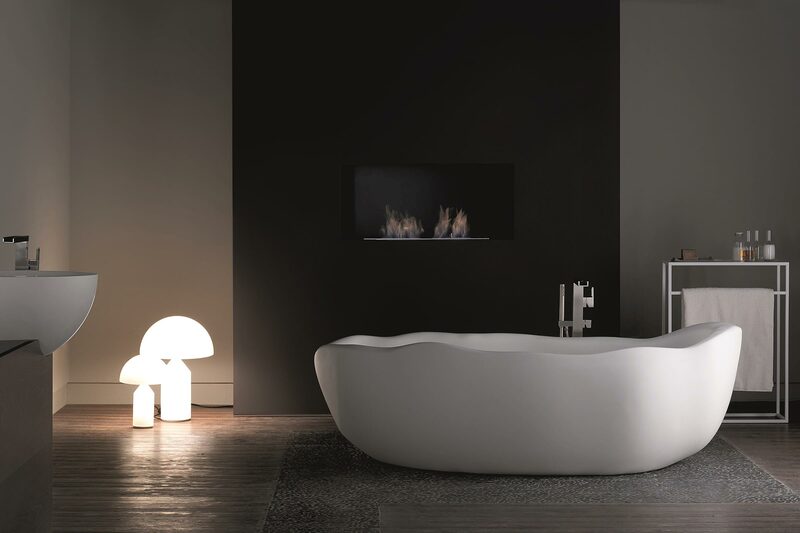 Contemporary Le Acque Freestanding Bathtub carved from a single piece of Living Tec. Making the ordinary product extraordinary through quality design, state-of-the-art manufacturing and unmatched imagination. Formal or funky – always aesthetically beautiful and well-functioning. Hydrology, the ultimate destination for high-fashion state-of-the-art bath and kitchen furnishings. Catering to a broad base of spaces and needs for our clients. Boasting a design and functionality unparalleled in the marketplace, your kitchen and lifestyle become reinvented.